Over the last few years, Abacus has changed in too many ways to count. Our product, team, and marketing strategy are growing constantly, and all look very different than they used to. But despite all that change, our visual identity hasn’t really kept up. I’ve been a designer at Abacus for over a year now. My job is a constant balance between maintaining consistency across our assets and pushing the visual language to represent a growing product. The limitations of our brand, however, were making it difficult to design consistently and effectively. So you can imagine a project like this was really exciting for me. Fix the design flaws of the brand and update how we use it? No problem! 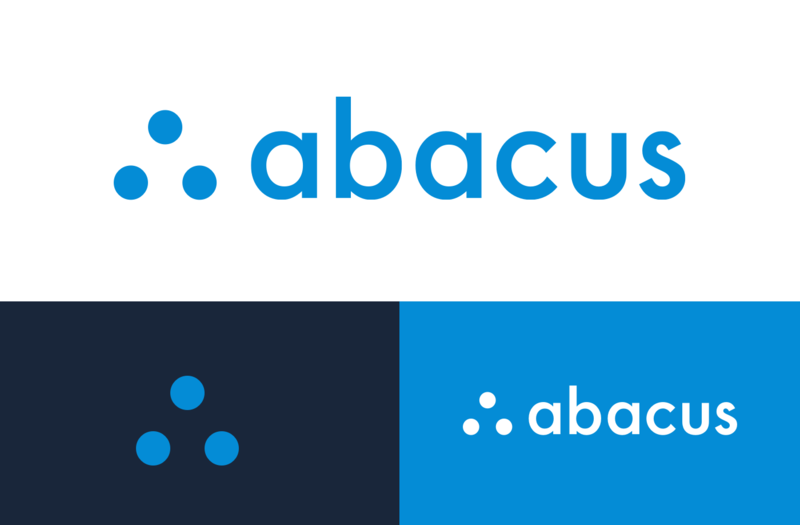 We weren’t looking to do a full rebrand—just develop the cleanest, clearest presentation of Abacus possible. To ensure the updates would last for years to come, we needed to set expectations with our founders and other stakeholders to make sure everything aligned with our company values. These discussions gave us a clear roadmap for our brand refresh: we needed to create an updated logo with comprehensive guidelines for use, and a simplified color palette that could be implemented purposefully in marketing materials and the Abacus product. Here’s what we came up with. So the answer was bigger dots and a shorter ascender? Why? Who would even notice that? Well, the point of this project wasn’t just to get attention. We wanted to focus on cleaning up what we already had, making it as clean and precise as possible. And as someone who cares a lot about typography, particularly in logotypes, shortening the height of that ‘b’ ascender from being twice the height of everything else is actually a very big deal. It may not be the first thing you notice, but in the context of the wordmark, it makes a difference. Don’t get me wrong—we considered making more drastic changes. I played around with a lot of logo explorations, each helping us further identify what we did and didn’t like about our logo. After many rounds of variations and critiques, we finally landed on an identity that satisfied all our needs. The subtle changes help improve our overall brand without introducing a completely new look. They also make the logo more flexible. For instance, shortening the height of the ‘b’ ascender created more uniform white space around the entire logo. My favorite tweak is that the ‘c’ no longer looks like a shark about to take a bite out of a the rest of the wordmark! We also increased the size of the dots, which allow us to take more ownership over an icon that was diminished by the rest of the wordmark.  With a more prominent icon treatment, we’re now able to use our signature dots more deliberately, specifically in the app icon. Prior to this project, our app icon looked completely different from the rest of our brand. The dots overlaid a series of lines, which were the only vestiges of our original representation of an actual abacus. It wasn’t really doing our brand justice, considering we do much more than the ancient calculating tool ever could. We all agreed it was time to align the icon with the rest of our identity. All these small tweaks make a big difference in how our company is perceived. Instead of being something that was thrown together out of sheer necessity, our logo is now something that we can truly take ownership over, every little detail being a thoughtful representation of our identity. Unlike our logo, the problem with our color palette was that it never stopped changing. New colors were added with little thought, different shades of one color were used for no specific reason, and a lack of guidelines made its application inconsistent. Not only that, but because there were so many different colors, all used in a variety of ways, it became difficult to know what our primary color even was. Since we were overall happy with our core colors, we set out to tweak, not reinvent. 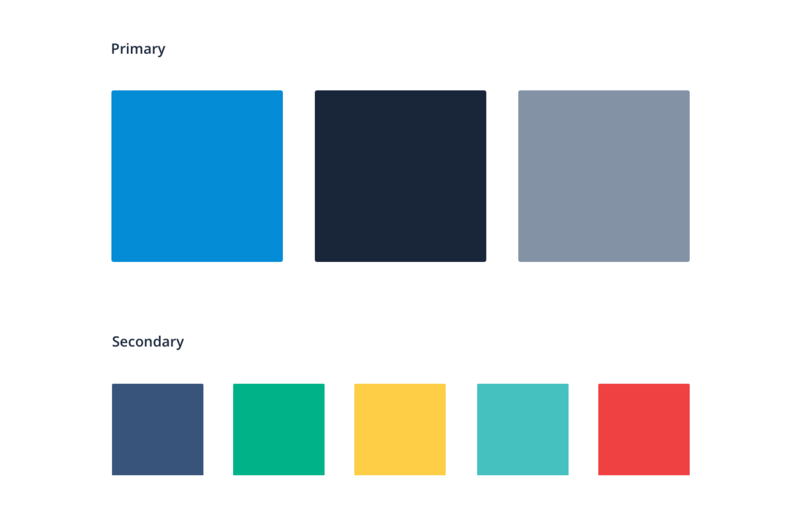 We designed a palette that was essentially a brighter, more saturated version of our original one. The brighter colors better represented our company’s mission to innovate and modernize expense reporting, while exuding trust and stability. Through a series of color studies, we were able to simplify our palette into three primary colors; blue, dark blue, and grey. From there, we were able to create a series of secondary colors to be used for UI elements and product illustrations. 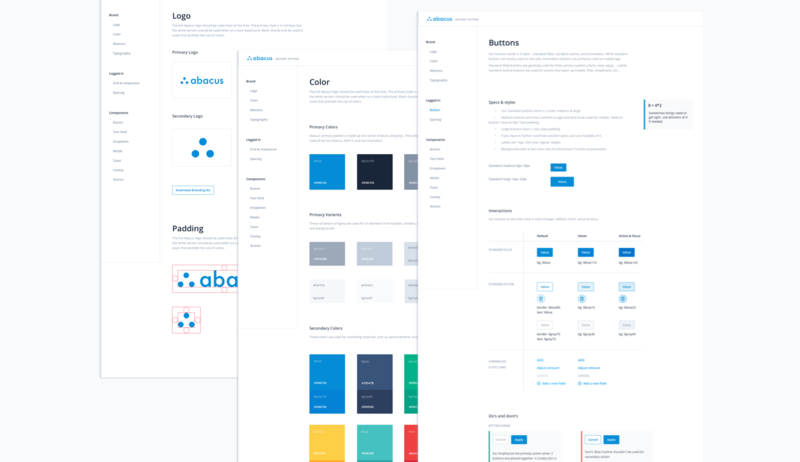 All of these changes were well and good in theory, but the biggest challenge in something like a brand update is having a way to package it together and say, “This is Abacus.” Instead of letting these changes live unused in a folder on someone’s desktop, we built a design system that not only laid out the components of our brand, but how they needed to be used: everything from the different variations of our logo, to buttons, to when to use the color green. The system is intended to be used throughout Abacus, creating a seamless connection between marketing and product. This also helps ensure that all the components of our brand will grow with the company. 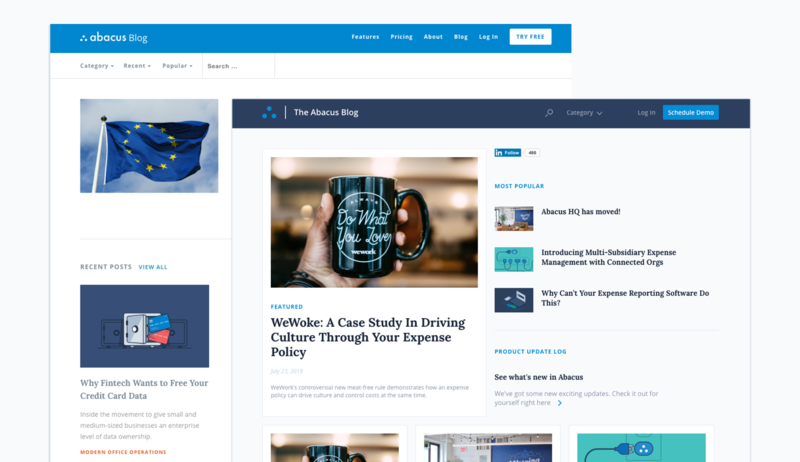 After months of hard work, the most rewarding part of this project has been seeing the updated brand actually applied to all the things that make up Abacus—the most noticeable being our app icon and our blog (which hopefully by this point in the post you’ve already noticed). They’re great examples of how powerful a simple logo and color tweak can be to an overall brand. And of course, what better way to celebrate the start of a new and improved brand than to design a bunch of new company swag. We are really excited to have this new identity. Plus, it couldn’t have come at a better time. Abacus itself has gone through a number of big changes this summer. We recently moved offices, joined the Certify, Inc. family of brands, and are growing our headcount on an almost weekly basis. 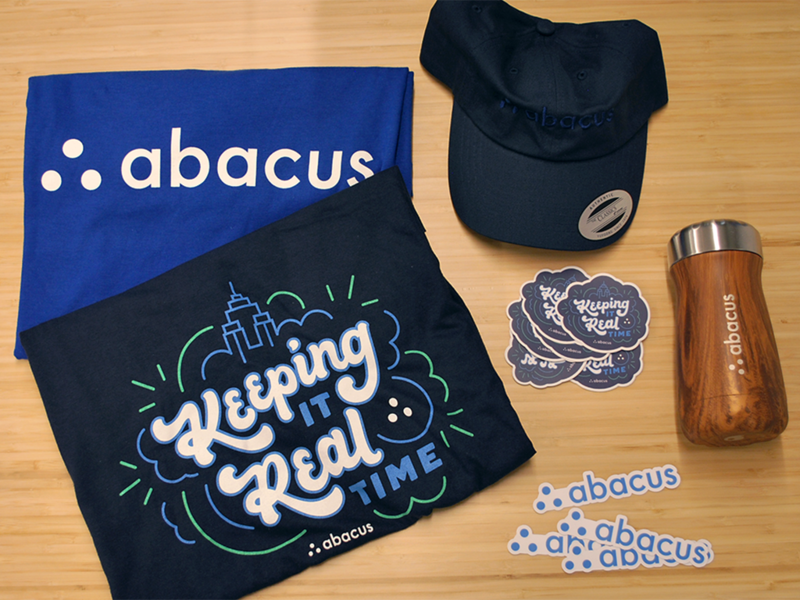 With a new era of Abacus beginning, it was the perfect time to tune up our brand and set the stage for even more growth.